Thank you for your interest in the Catholic Foundation. The foundation was created to hold endowed funds that will provide resources to advance the mission of the Church beyond normal daily ministry. It is our pleasure to provide you with information that will enable you to make informed decisions. We have an increasing number of friends at the Foundation who are benefiting from life income gifts, gift annuities and other plans. Thank you for taking the time to visit us. Thank you for your interest in The Catholic Foundation of Northwest Florida. Our hope is to serve you and your family with helpful information. 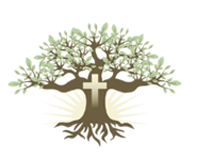 The Foundation's Endowments have been established for the sole benefit of Catholic ministry in the Diocese of Pensacola-Tallahassee.